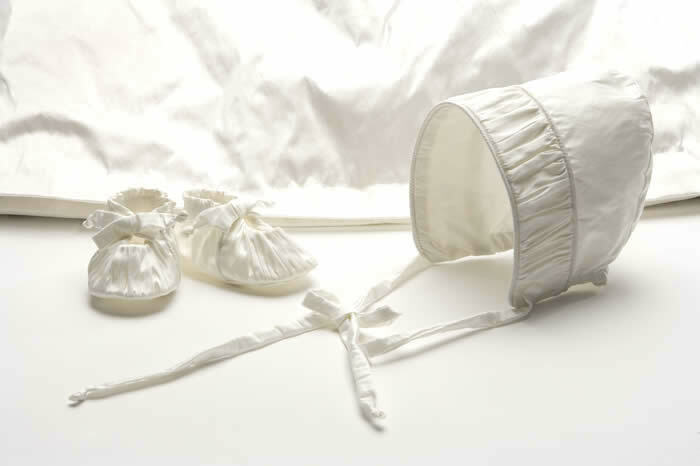 Once upon a time in a storybook village on the coast of Maine, Lulla Smith created a magical kingdom- a design studio specializing in exquisite couture baby linens of the most luxurious cottons and sumptuous silks in the land. 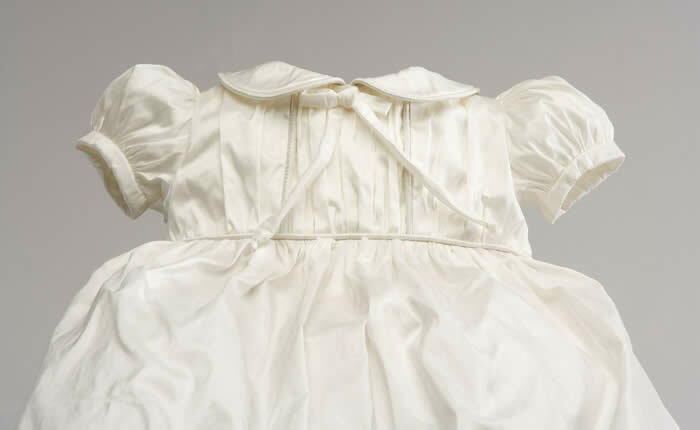 Each piece is gently hand-cut and hand-stitched to the very highest standards to welcome your precious tiny princes and princesses into the world. Sought after by high profile celebrities and royal clientele, Lulla Smith baby linens grace exquisite nurseries worldwide. 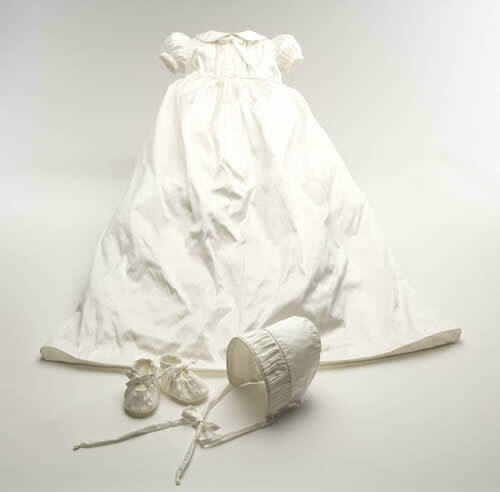 Our Versailles Christening Dresses is classically styled and made from 100% Dupioni Silk. Accessories available separately. Custom made especially for you in the USA.